Hit your next Patriots tailgate with this New England Patriots Tailgate Game. 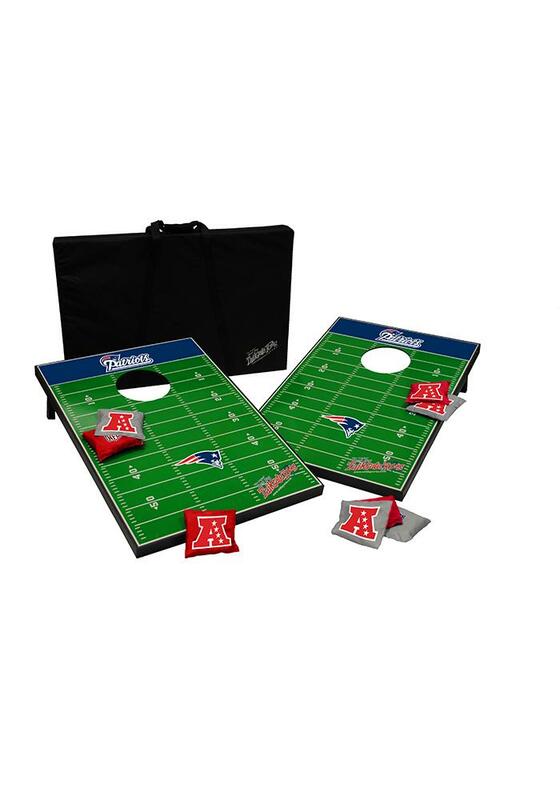 You and your friends can have some fun before the Patriots play with this Tailgate Game, which features a solid wood game w/ 8 football bean bags. All Boards have 2 legs that rotate out (to play game or storage).